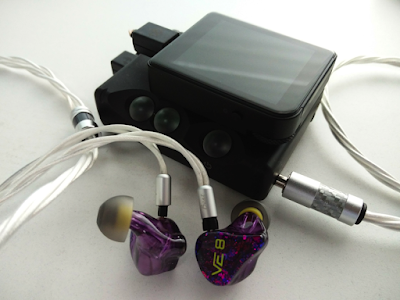 The VE8 is the new top of the line product from Vision Ears, a 3-way, 8 balanced armature custom in-ear monitor priced at 2 330 euros. I first approached Marcel in 2013 when they created Vision Ears. Vision Ears and Rhines Stage were created when people from Compact Monitors decided to split up. The two companies have operated independently ever since. Their first models were initially similar, and then they each created their original products. 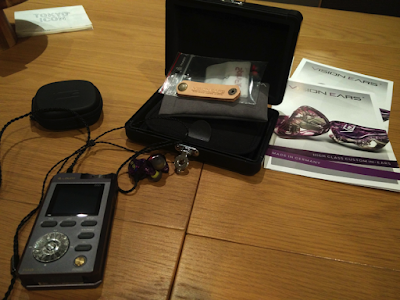 On Vision Ear’s side, these products are VE6 / VE6X Control, VE5 and the latest VE8. I was not a fan of the signature of the initial models I tested, but had to acknowledge their expertise in tuning, incredible build quality and wonderful service. In this context, as soon as I heard of the VE8, I was highly intrigued and contacted Marcel and Amin again. They were kind enough to send me a demo for review on Head pie. I have to admit Marcel and Amin are people I really appreciate. They like what they do, respect their clients, and are always ready to assist and discuss. Besides, they have a very modern and functional website, and the custom ordering process is efficient and simple, with a great online visualization tool. You have plenty of options to customize you CIEM (I know this, because after testing the VE8, I decided to get a pair for myself). The demo came in the standard CIEM package of Vision Ears, which is a nice case for home, including all the accessories you would expect at this level. Since this is a demo, it also includes spinfit tips, which work perfectly for me in this instance. 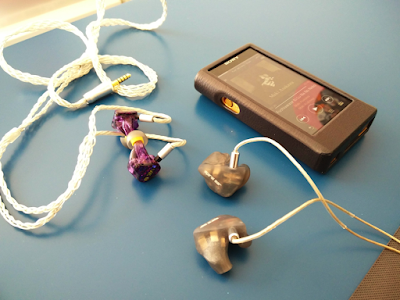 The demo is very well made, build quality is impeccable, and, in my ears, the fit is almost as comfortable and isolating as a custom. This was not the case a few years ago when I tested the VE6X Control, so at that time, I was really not sure whether I was getting the full experience. With the VE8 demo, I really feel that it must really come close to the custom. I am not sure if they will do a universal, but based on this, they certainly should! I switched the included stock cable because I have really many cables to play with, but I have to admit their stock is above average stock cable quality (still not at the same level as most of my upgrade cables). 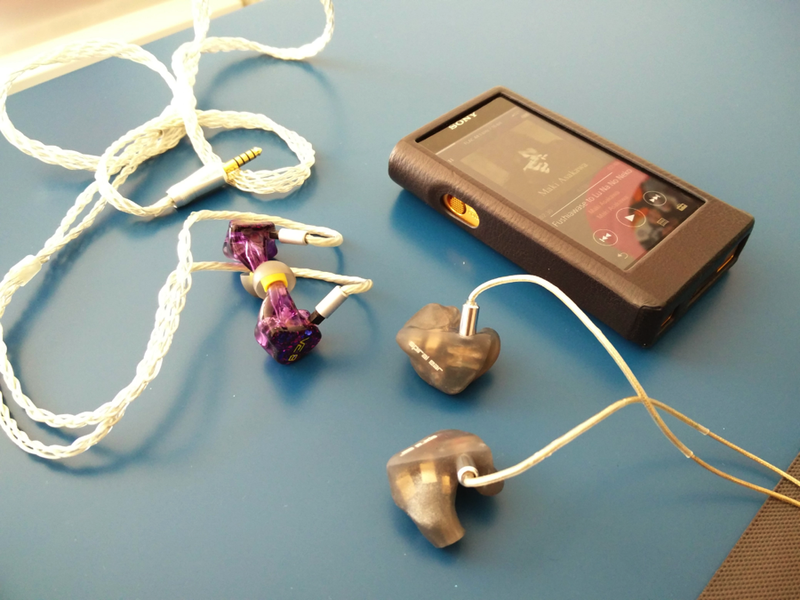 • All pairings were good, I think I preferred LPG overall, but liked the WM1Z for smoother more natural sound, and the Mojo for very precise imaging. I was initially a bit put off by the sound of the VE8. Truth be told, I was influenced by a headfi friend who had demoed them briefly and had told me they were not what he expected based on VE’s previous product. As I played with different sources, the feeling of bassiness subsided. I do not think it is brain burn in, because I compared to my other monitors. It could be burn in, although I don’t really credit BA burn in, or just me progressively getting a better fit. The separation accept remained the same, but when comparing with my other monitors, it was not so obvious that it resulted in a true lack of coherence. To conclude on the sound : the mix of incredible separation, unparalleled bass quality and detailed yet non aggressive sound make this monitor a true pleasure to listen to. All my music sounds great with it, and I can listen for extended periods of time. None of my monitors bring this kind of pleasure while remaining so good technically. • Comparing to the KSE1500, which is technically unparalleled to me, reveals this special nature of the the VE8 sound, it makes the VE8 mids sound a bit artificially separated from the rest, as if in a different corridor. It doesn’t appear obviously without comparing, but the KSE mids are so transparent, clear and even that the VE8 suffers a bit from the comparison in that area. 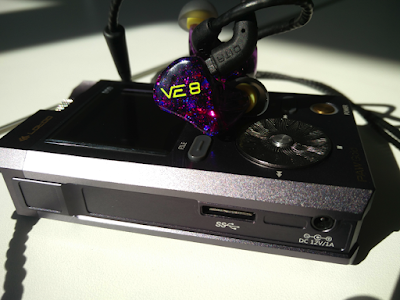 However, the VE8 is more engaging and less unforgiving overall, and holds his own quite well in other technical aspects. My feeling is that not everyone will find this monitor to their taste, but it is technically exceptional, above almost everything I have heard, yet still very engaging. 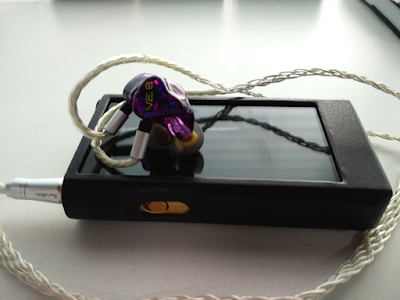 I like it to the point that I decided to order a custom version to hear this IEM at its full potential.